Inferno World with Titanium Skies - ESO’s VLT makes first detection of titanium oxide in an exoplanet! Astronomers using ESO’s Very Large Telescope have detected titanium oxide in an exoplanet atmosphere for the first time. This discovery around the hot-Jupiter planet WASP-19b exploited the power of the FORS2 instrument. It provides unique information about the chemical composition and the temperature and pressure structure of the atmosphere of this unusual and very hot world. The results appear today in the journal Nature. A team of astronomers led by Elyar Sedaghati, an ESO fellow and recent graduate of TU Berlin, has examined the atmosphere of the exoplanet WASP-19b in greater detail than ever before. This remarkable planet has about the same mass as Jupiter, but is so close to its parent star that it completes an orbit in just 19 hours and its atmosphere is estimated to have a temperature of about 2000 degrees Celsius. As WASP-19b passes in front of its parent star, some of the starlight passes through the planet’s atmosphere and leaves subtle fingerprints in the light that eventually reaches Earth. By using the FORS2 instrument on the Very Large Telescopethe team was able to carefully analyse this light and deduce that the atmosphere contained small amounts of titanium oxide, water and traces of sodium, alongside a strongly scattering global haze. Titanium oxide is rarely seen on Earth. It is known to exist in the atmospheres of cool stars. In the atmospheres of hot planets like WASP-19b, it acts as a heat absorber. If present in large enough quantities, these molecules prevent heat from entering or escaping through the atmosphere, leading to a thermal inversion — the temperature is higher in the upper atmosphere and lower further down, the opposite of the normal situation. Ozone plays a similar role in Earth’s atmosphere, where it causes inversion in the stratosphere. “The presence of titanium oxide in the atmosphere of WASP-19b can have substantial effects on the atmospheric temperature structure and circulation.” explains Ryan MacDonald, another team member and an astronomer at Cambridge University, United Kingdom. 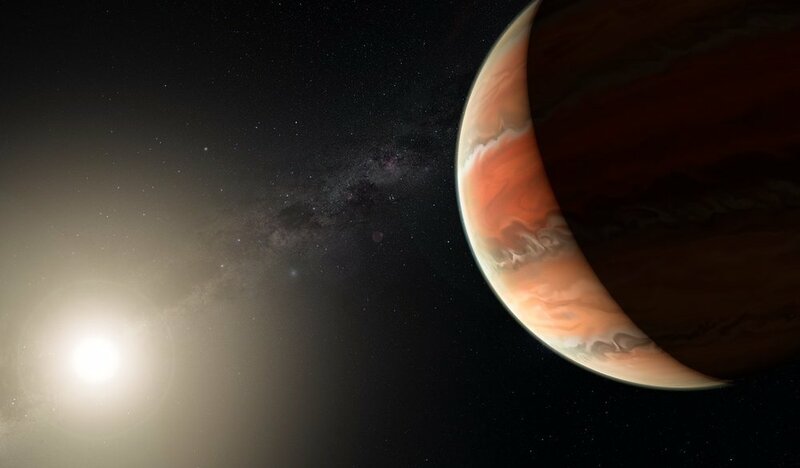 “To be able to examine exoplanets at this level of detail is promising and very exciting.” adds Nikku Madhusudhan from Cambridge University who oversaw the theoretical interpretation of the observations. 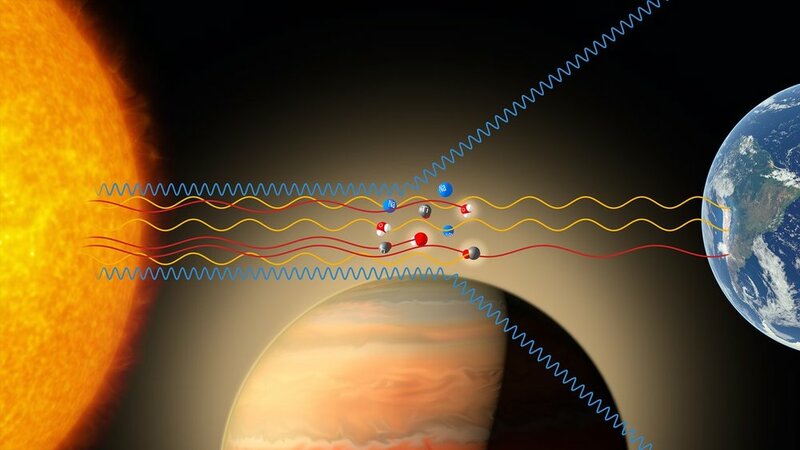 This new information about the presence of metal oxides like titanium oxide and other substances will allow much better modeling of exoplanet atmospheres. Looking to the future, once astronomers are able to observe atmospheres of possibly habitable planets, the improved models will give them a much better idea of how to interpret those observations. Older PostThree possible super-earths discovered around nearby sun-like star!